From Shakespeare's most often-performed play. One summer night, four lovestruck young people follow each other into the forest. 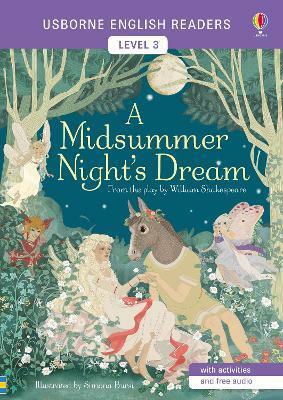 Meanwhile the fairy king and queen quarrel and sulk, amateur actors rehearse a play and mischievous fairy Puck stirs up trouble. How can all the confusion be resolved? The Usborne English Readers series is a new range of graded readers in simplified English for younger learners. They include activities, glossaries and a full audio recording of the text in both British English and American English.